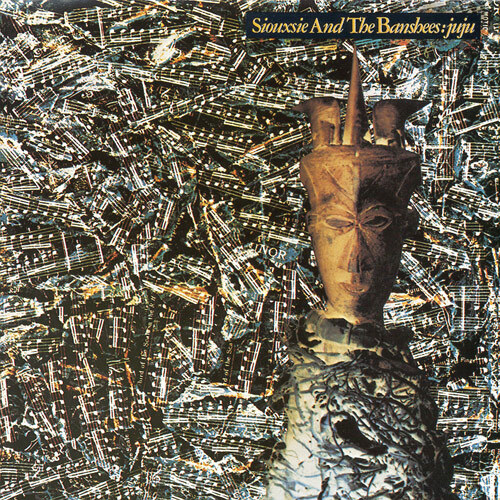 Siouxsie and the Banshees were arguably one of the most important bands to emerge from the British punk scene, and I dare to say that no other LP of theirs was quite as influential as their 1981 album Juju. After the electronic-influenced Kaleidoscope the group re-embraced a more guitar-driven and rock-oriented sound (then again, Kaleidoscope was written mostly without a permanent guitarist to begin with). However, at the same time the album represents a radically new direction for them - while The Scream and Join Hands had some very unorthodox guitar playing by John McKay, their new guitarist (and another John) John McGeoch wasn't exactly conventional either. Another new element in the mix was Budgie's unique way of drumming. And the outcome, well, it's spectacular. From start to finish, the album is nothing short of a masterpiece. Lead single "Spellbound", also the opening song, is a triumphant post-punk stomper that is a perfect example of the newfound musical chemistry among the band members. Siouxsie's commanding vocals, Severin's melodies, McGeoch's iconic guitar work and Budgie's tribal beats, all in a perfect harmony. "Spellbound" - later used in the 2008 sci-fi thriller Doomsday and in a True Blood episode of the same name (no coincidence, I believe) - also became one of the band's signature songs. Another single released from Juju was "Arabian Knights", a twisted Banshee pop anthem with some very explicit lyrics, such as "Veiled behind screens / Kept as your baby machine / Whilst you conquer more orifices / of boys, goats and things". And as you might guess, you don't often get to hear the word 'orifice' in a pop song. Essentially it's bashing the islamic world for its inequality and hypocrisy. Siouxsie has never been a big fan of religions and their tendency to create discrimination and male dominance, I suppose. I cannot stress enough how important it is to me as a music listener that the whole album is of impeccable quality. In many ways I often find the album tracks more important than the singles, as they give the bands much more space to experiment and venture, and Siouxsie and the Banshees were one of the most album-oriented bands out there. Take the experimental "Into The Light", for example, which as a highly adventurous rock track that experiments with the guitar riffs. Still, at the same time, it manages to sound catchy and addictive. Then there's the band's halloween anthem, well, "Halloween", also a very catchy song which, on a completely different note, brings back so many memories from the time that I started high school. Ahh. "Monitor", with it's memorable command "Sit back and enjoy the real McCoy", is an innovative alt rock number that sounds very much ahead of its time. Had it been released in the mid 2000s it would've had a whole generation of NME-reading indie kids hyping over it. The same goes for the lyrics that are possibly more relevant than ever before: originally they are about how real life suffering became a twisted form of entertainment due to the rise of CCTV cameras, but nowadays they could just as well describe the reality TV boom with its Big Brothers and whatnots: "His face was full of intent / And we shook with excitement / Then the victim stared up / Looked strangely at the screen / as if her pain was our fault / But that's entertainment / what we crave for inside". What really made this album so influential, however, was the utterly dark second half. "Night Shift", a popular fan favourite of theirs, is a a very anthemic tune with some very gruesome lyrics about The Yorkshire Ripper, a serial killer who murdered prostitutes and ordinary women as well. It's barely easy listening music, but an extremely powerful song nevertheless. The album doesn't get any lighter, as it's followed by the wildly aggressive "Sin In My Heart" and lines like "When you grovel at my feet / Keep it short and sweet / Sin in my heart". Fun fact: while McGeoch obviously plays the lead guitars, this track has also Siouxsie playing the guitar, quite similarly as she did in Kaleidoscope's "Paradise Place". She also played her guitar parts whenever they performed those songs live. "Head Cut" offers the listener a brief break from all the gloominess with a more playful track, although the lyrics are hardly saccharine here either: "Oh severed head / I'll feed your head with bread / And paint your lips bright red / I'll keep it fresh on ice / It will look very nice". Don't get lulled into a false sense of security, though (if that's even possible with a track like that), as the creepiest song out of the bunch is yet to come: the album closer is the ever so disturbing "Voodoo Dolly" that starts off as a hypnotic tune that stalks you like a shadow in the corner of your eye, before going for a full-on assault on your ears (and possibly, sanity). It builds up into a psychotically intense climax that will leave you speechless. And before you ask, I mean that in the best of ways. Like, I dare you to watch this live performance of it and not think it's the most insane thing you've seen in a long time. Oh yeah, that's the stuff. Demonic and creepy as hell, just the way I like my pop music. Juju is a rather serious effort compared to most of the band's previous music. Sure, even when the music sounds light-hearted, the lyrics are almost always twisted and grim - as evidenced in The Scream's "Carcass" - but this album is exceptionally dark even in Banshee standards. And that is actually what made it so influential in the first place. 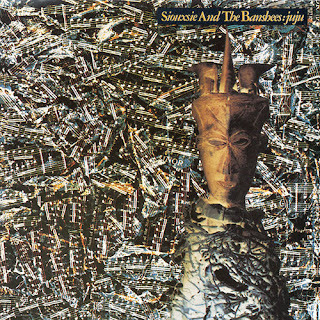 The Guardian hailed Juju as "art-rock" and described the singles as "pop marvels", while the album is also regarded as a landmark for post-punk. However, it is also one of the most important single influences for the whole gothic rock genre - something that the Banshees were never too fond of affiliating with. This was music than nothing before it, and obviously attracted a large number of imitators, as they do. No wonder it was once called "one of the most influential British albums ever" by Melody Maker. The album inspired many musicians to vamp up their music to the darkest and most horrid possible spheres. They adopted Siouxsie's distinctive looks, her powerful singing style - shrill and commanding - and the Banshees' twisted take on pop music, generating a goth generation in the process. What is important, though, is to acknowledge the fact that Juju isn't goth music per se, even though being such a celebrated album among the genre. The album shows just how perfect the dynamics were in the band during the McGeoch era (1980-1982) and how it became the time during which they created some of their most groundbreaking music. Juju is every bit as exciting and revolutionary as The Scream was if not even more. The band was creating innovative music that sounded like nothing that had been done before. This is an impressive all killer, no filler record that no-one in their right mind should skip. Try at least: "Spellbound", "Into The Light", "Night Shift"